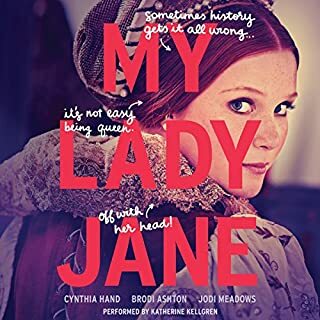 I give My Lady Jane a 4.5 rating. It was probably the most quirky book I've ever listened to and I loved it! I will say that I'm not sure I would have been able to get into the book if I had simply read it. The narrator was absolutely perfect! I found myself laughing a lot. I highly recommend listening to this book on Audible. I was really excited to read this book! Until about a minute into the audio book version. I tried for a chapter to adapt to the narrator's voice and style, but it just wasn't possible. I'm sorry, but it is REALLY BAD. This is the worst narrator I have ever listened to. 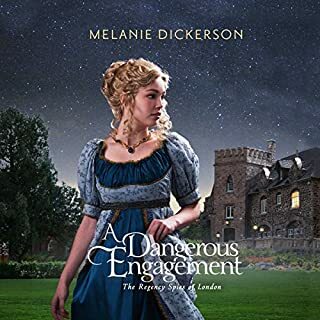 Once I have time to actually sit down to read a book I'll try this one again because I'm a huge fan of Melanie Dickerson's books!